The UN warns that Yemen faces worst famine for 100 years. The United Nations and the Governments of Sweden and Switzerland, today, (26 February) have convened a high-level pledging conference for the humanitarian crisis in Yemen. The pledging conference will urge governments to increase their funding for this crisis, calling for $4billion to respond to what is described as the “world’s worst humanitarian crisis”. “There has never been a more urgent time to fund and keep life-saving aid programmes running. This horrific man-made humanitarian disaster has left millions of families destitute, without the basics of life – food, clean and safe water and shelter. It is staggering to hear that half the country’s population, more than 14 million people are on the brink of starvation. Nearly four years of conflict have plunged Yemen into one of the world's worst humanitarian crises. Already one of the world’s poorest countries, Yemen is now on the brink of catastrophe, with two in three people in urgent need of life-saving humanitarian assistance. CAFOD with other UK aid agencies, in a letter to the Daily Telegraph, has said more needs to be done to carry on the critical work of keeping people alive through feeding centres, health clinics, clean water, and sanitation projects. There has never been a more urgent time to keep these life-saving aid programmes running. Five million people are at immediate risk of starvation; 16 million do not have clean safe water and sanitation and 22.2 million need urgent humanitarian assistance or protection. Behind these numbers, the full extent of the suffering is laid bare by real-life, impossible choices that face families every day. Against a challenging environment, our local aid experts continue to work around the clock to provide food and medicine to people at high risk of malnutrition – such as babies, pregnant women, and breast-feeding mothers. In December, a cease-fire was announced after a week of peace talks in Sweden. This was the first face to face meeting between the two warring parties since the conflict began in 2015. The Yemeni government and the Houthi rebels have agreed to a cease-fire in Hodeidah port city, where 90 percent of all imports of food, fuel and other vital goods, such as medicines are urgently needed for people caught up in the conflict. Why is the crisis in Yemen happening? In Yemen, there has been a four year long bloody civil war, between the Houthi ethnic group and supporters of Yemen’s government led by President Abdrabbuh Mansour Hadi. At the request of the Yemeni government, an international coalition led by Saudi Arabia have carried out air strikes across the country against the Houthi. For ordinary Yemenis, the consequences have been devastating. The UN now estimates that more than 10,000 people have been killed since the start of the conflict, with 6,000 people killed in 2016 alone. Yemen, already one of the world’s poorest countries are being pushed to the brink of catastrophe. Hunger affects 14 million Yemenis which is 60 per cent of the population. 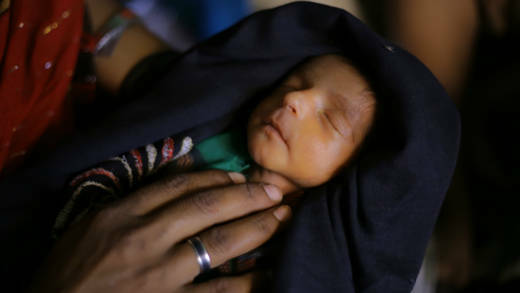 A child is dying every ten minutes because of preventable diseases, and child malnutrition is at an all-time high. People of different faiths are praying for Yemen. Let us continue to keep the people of Yemen in our thoughts and Prayers. What are the humanitarian needs in Yemen? Yemen is one of the poorest countries in the Middle East, and ordinary people are bearing the brunt of a brutal conflict. Severe water shortages combined with airstrikes, sniper attacks, and a fuel blockade have turned this conflict into a humanitarian crisis. Demand for food, water, shelter, sanitation and medical care to vulnerable families in the greatest need continues. According to the UN’s Office for the Coordination of Humanitarian Affairs (OCHA), the conflict has left millions of desperate people in need of humanitarian aid and protection. Yemeni families were already dealing with dire and extreme poverty but this conflict has exacerbated their suffering. The economy and public services such as hospitals and clinics face collapse, and many Yemeni families have exhausted their savings as they struggle to earn a living; women, children, and men face a humanitarian catastrophe. Two-thirds of the population, more than 20 million people are in urgent need of some form of life-saving humanitarian assistance such as food, water, medical care, and shelter. More than 7 million people in Yemen are extremely vulnerable and need immediate access to food. 462,000 children under five are suffering from severe acute malnutrition. More than 3 million people have been recorded by the UN as internally displaced, nearly half of whom are children. Aden governorate is hosting the highest number, 393,508 individuals, followed by Ta'izz 300,585 individuals and Hajjah, 280,821 individuals (as of October 2016). More than 1,900 of the country's 3,500 health facilities are currently either not functioning or partially functioning, leaving half the population without adequate healthcare. According to the UN, as of 5 November, there has been more than 900,000 suspected cholera cases and 2,192 associated deaths were reported; more than half of the suspected cases are children. How are CAFOD’s experts responding? Our aid experts are working with conflict-affected communities in the south of Yemen. They were able to deliver vital aid before the blockade, and assault on Yemen’s port city of Hodeidah. They have been able to provide nutrition services; which involves screening and identifying children under 5 and breastfeeding mothers for acute malnutrition. Their work also included training community volunteers to spot the worst cases of malnutrition in their communities and get mothers and babies treated at available health facilities or in the home. Against a challenging environment, they have been able to check thousands of children suffering from malnutrition or showing signs of the condition - providing the nutritious food supplements needed for proper treatment. This emergency response is vital as the country continues to battle with cholera. In February, Pope Francis visited the United Arab Emirates. Peace and dialogue were major themes of his visit. He specifically named the war in Yemen, as well as other conflicts in the Middle East. "War cannot create anything but misery; weapons bring nothing but death!" He said. We worked alongside our partner Caritas Djibouti to support more than 500 families from Yemen, who had fled the conflict into neighbouring Djibouti. This money provided emergency medical care, food assistance and support for small micro-credit businesses so that refugee families could be more economically independent. You responded with generosity and compassion just before Christmas 2016, to our Yemen Crisis Appeal raising almost £500,000 for the people of Yemen, and we joined forces with the Disasters Emergency Committee (DEC) appeal, which has raised £30 million. How can I support CAFOD during emergencies? 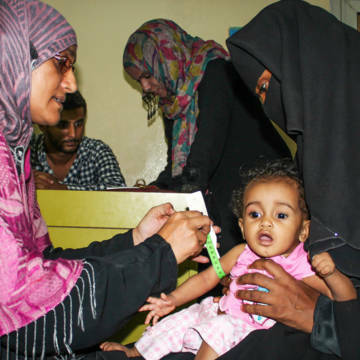 Whatever you are able to give to CAFOD's Yemen Crisis Appeal will help us reach some of Yemen’s most vulnerable families affected by this conflict. Please keep the people of Yemen in your thoughts and prayers.